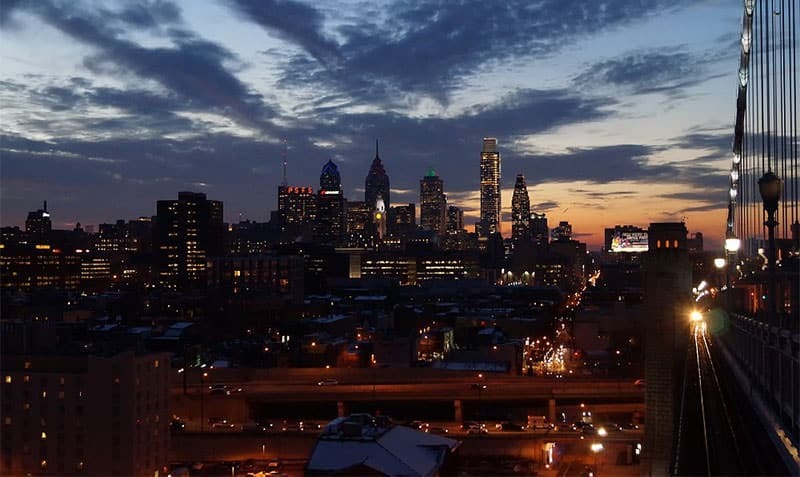 Philadelphia is not only one of the oldest cities in the United States, it is also one of America’s best cities in which to catch a live music show, regardless of your particular musical tastes and interests. Locals and tourists by the thousands consistently flock to the hundreds of live music venues in the “City of Brotherly Love,” ranging from large stadiums and arenas to mid-sized clubs to the many local dive bars where many of Philly’s most celebrated singers and bands cut their teeth on their way to the big stage. Whether you prefer jazz, rock, metal, hip hop or indie music, the city of Philadelphia definitely has you covered. In the following article we will introduce you to several of Philly’s best and most charismatic live music venues, including an in-depth description of each club and the types of sounds you can typically catch there. Situated on the outskirts of Philadelphia, at 69th and Ludlow Streets in Upper Darby, Pennsylvania, the Tower Theater is one of the region’s most celebrated live music venues and a wonderful place to see bands from across the musical spectrum. Hosting the best of live music since its opening in 1972, the “Philly Fillmore,” as it is nicknamed, has lured millions of music lovers throughout its history. It has accomplished this by hosting both big name talent and emerging local bands just starting out. Some of the greats that have graced the stage of the Tower Theater include Bob Dylan, Kanye West, the Kings of Leon and Radiohead. The Tower Theater is conveniently located near the 69th Street terminal of the Philadelphia subway. Its classy interior includes comfortable, red velour seats, a split-level design and an awesome bar and food area, where revelers can grab some grub and sip a bit of liquid excitement in preparation for the rocking show. Located in a somewhat seedy part of town—at 1026 Spring Garden Street in Philadelphia—in a building that was once home to the well-loved Spaghetti Warehouse, the Union Transfer is a wonderful place for live music. The club features a state-of-the-art sound system, comfortable seating and acoustics most clubs would kill for. The Union Transfer consists of a massive space, and its simple décor includes exposed beams, concrete floors and walls adorned with music memorabilia from years gone by. The club has two levels, each of which includes a fully-stocked bar—bars that are always very crowded until the show begins. Although it is highly unlikely you will see any large, nationally-touring bands at the Union Transfer, the venue is a fantastic place in which to see emerging indie and metal bands, as well as the occasional local hip hop show. The Union Transfer includes several different snack shops and eateries, including a vegetarian restaurant and a wonderful ice cream shop with scores of flavors and selections. Located at 1201 Frankford Avenue in Philadelphia, Johnny Brenda’s is a cozy live music venue, one that typically features independent acts from both Philly and around the country. The venue has two floors: the first story features a great bar where guests can mingle and get pumped up for the big show, while the second story features the stage area and limited seating for about 100 guests. For more popular bands, be prepared to have your personal space violated, as you are likely to be standing shoulder to shoulder with other music lovers. However, this shouldn’t bother you, as chances are you will be far too busy rocking out to even notice. In addition to the fantastic bar, the first floor also features a great eatery featuring pub-style grub like burgers, hot dogs, wings and other tasty snacks. With a name that’s difficult to forget, Philly’s Kung-Fu Necktie is a diminutive, yet cozy club that normally features small local indie bands and other local acts. If you’re looking for elaborate, this club, located at 1248 North Front Street, is NOT your cup of tea. Here you will get two things: great drinks and even better music, in a club setting where you will always be close to the action. Although small, the Kung-Fu Necktie is quite nice inside. The large stage area is equipped with a half-barrel ceiling—a feature that ensures great sound no matter where in the club you happen to be sitting or standing. The bar area features many different types of craft beer and the typical stable of cocktails and bar snacks. Over the bar is a lone television, so on those rare nights when there’s not a band rocking the Kung-Fu Necktie you can always keep up with your favorite pro sports team. Located in Philadelphia’s Fairmont/Brewerytown region, at 2639 Poplar Street, the North Star Bar has everything you could possibly want in a great club, including music, drinks and superb eats. Set up as a single-story establishment, the front half of the North Star Bar features a wonderful sit-down restaurant and bar. Here you can get anything from burgers to steaks to seafood, and the bar has some very upscale draught beer and scrumptious signature cocktails. As you walk beyond the doors of the restaurant at the North Star Bar you will encounter a massive performance venue, with a large stage area and enough seating for about 200 people (the rest of the revelers are happy to purchase standing-room-only tickets). Occasionally, the North Star Bar books some big recognizable talent, but the real draw here are the emerging local acts from many different musical genres.